China on Wednesday welcomed the new president of Kazakhstan as an "old friend" after the sudden resignation of veteran strongman Nursultan Nazarbayev. "China understands and supports President Nazarbayev's decision," said foreign ministry spokesman Geng Shuang. 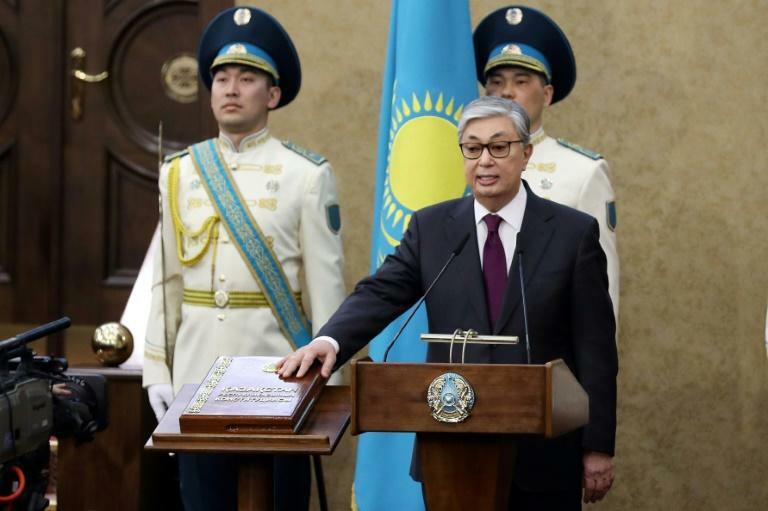 "Since we established diplomatic ties 27 years ago President Nazarbayev has been committed to friendly relations," Geng told reporters, noting the oil-rich nation will achieve new progress under the acting president Kassym-Jomart Tokayev. "The acting President Tokayev is an old friend and good friend of the Chinese people," Geng said. Earlier this month authorities in Kazakhstan arrested a Xinjiang rights activist, who had campaigned for victims of China's security crackdown in the region, and charged him with inciting inter-ethnic hatred.